Skyrocket Your Business co uk are a specialist printing and mailing house, based in Wolverhampton, West Midlands. Our biggest asset is a team of highly motivated and reliable staff who genuinely love to please. We are always happy to offer advice on any print or direct mail project and specialise in saving you money. This page will tell you all you need to know about using Printed Postage Impressions (PPIs). Before you go through the process of opening an account, changing your internal systems, passing accreditations etc, why not challenge us to cut the cost of your mailing activity whilst handling the print, personalisation, fulfilment, mail sorting and despatch? We can often print, personalise enclose and post your mail, at a lower cost than you currently pay for franking or stamps. Please contact us for a quote. All letters or packages delivered by Royal Mail must have an indication that the postage has been paid. Individual letters or packages posted in small quantities will have a postage stamp or a franking label attached. For larger volumes, however, a Printed Postage Impression is printed directly onto the outer envelope to indicate that postage has been paid. This is usually by the offset litho process although flexographic printing may be used for very large runs. To show that postage has been paid on the mail. To identify which postal account the mail has been posted through. The PPI usually appears in the top right hand corner of the envelope. You will notice that there is a PPI on most pieces of mail which come through your door. Have a look at the envelope your mailing comes in. PPIs have two main advantages over stamps or franking. Printed Postage Impressions are much more efficient (and cheaper) to apply as they are bulk-printed onto the envelope before the envelopes are filled. Mail posted via a Royal Mail account, with a PPI will be cheaper than mail posted via stamps or franking. PPIs are essential for any mail which is to be despatched via a Royal Mail Postal account. Skyrocket Your Business co uk are able to produce envelopes with PPIs on them for use with your own postal account or via our account. We can also offer you advice on their use. If you already have a postage account with Royal Mail, you will have been allocated PPI licence number. This will take one of two forms, either a town name with a number such as Southampton 2500 or the letters “HQ” followed by a number such as HQ2500. We will need this number if we are to produce envelopes suitable for your postal account. If you do not have an account, you will be able despatch via our account (provided that we have produced the items), though we do ask for postage payment in advance. If you would like your own postal account and you plan to spend more than £5000 per annum on postage, you can call Royal Mail on 08457 950 950. You will reach your local sales centre who will help you with opening your account. Alternatively, click here for more information about Royal Mail’s range of products and services. So what is a PPI? We have the latest PPIs available for use with 1st, 2nd and Economy class mail. If you already have an account with Royal Mail, we can produce envelopes for you, pre-printed with your PPI, return address and, if applicable, your logo. Please visit our online printshop where you can order printed reply envelopes and/or envelopes printed with your PPI and return address. Royal Mail Square Design PPIs are also used on postcards, packets, catalogues and magazines, in fact anything which is to be posted via a postal account. Skyrocket Your Business co uk can print the envelopes as well as printing the promotional material inside, personalising, enclosing and arranging postal discounts. Why not contact us now for helpful advice or a quote on your next envelope or direct mail fulfilment project? In these instances, the mail will be returned directly to the return address on the outside of the envelope. This will enable you to either rectify the address problem(s) or to remove the record from your database. Removing the address is essential so that you do not waste money on further fruitless mailings to that record. We can handle these returns for you and you are free to use our generic ‘PO Box 900’ reply address on your envelopes if you do not wish to use your own address. 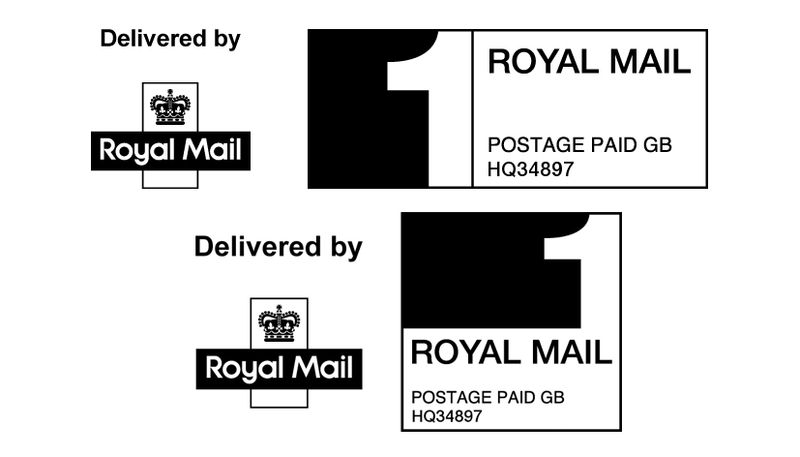 The return address can either be printed in the top left-hand corner of the front of the envelope (barcoded and non-machinable items only), on the envelope flap or on the reverse of the envelope.